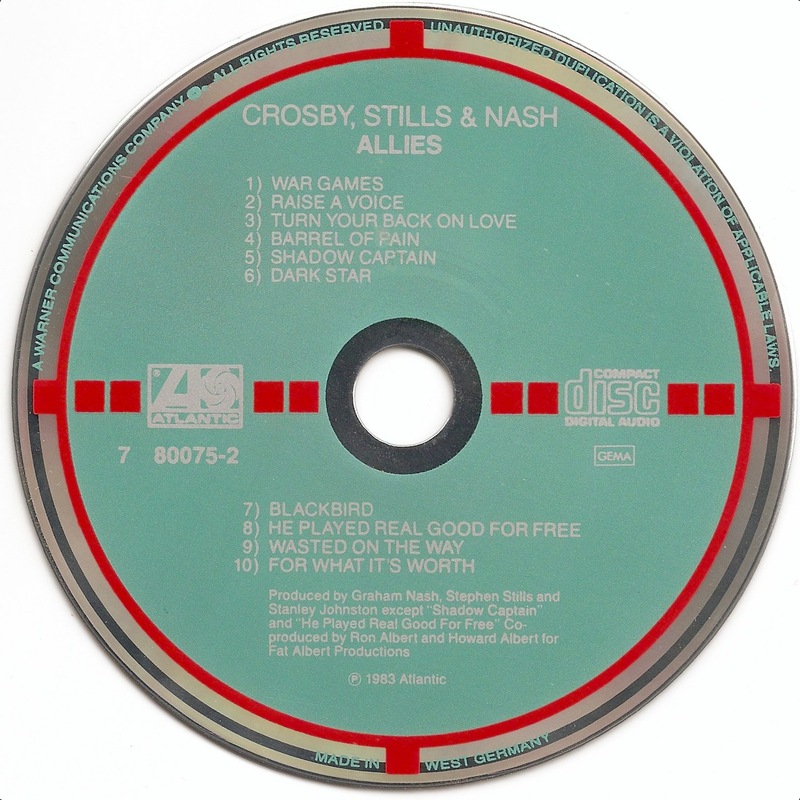 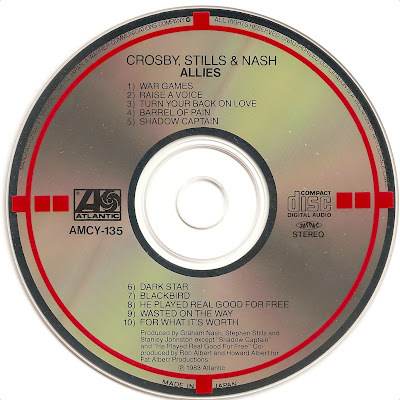 Crosby, Stills & Nash (CSN) is a folk rock supergroup made up of David Crosby, Stephen Stills and Graham Nash. 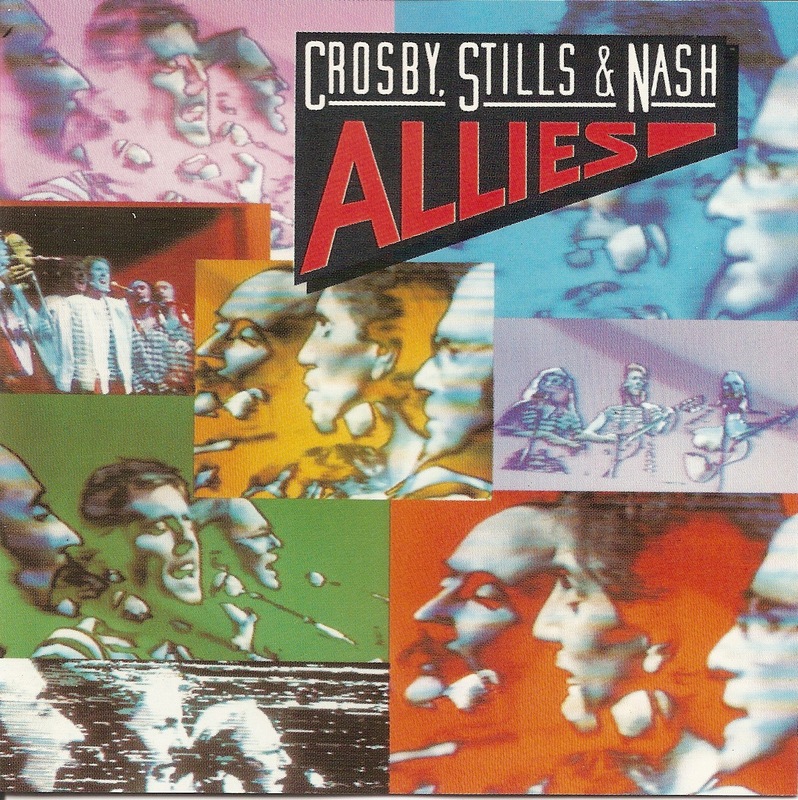 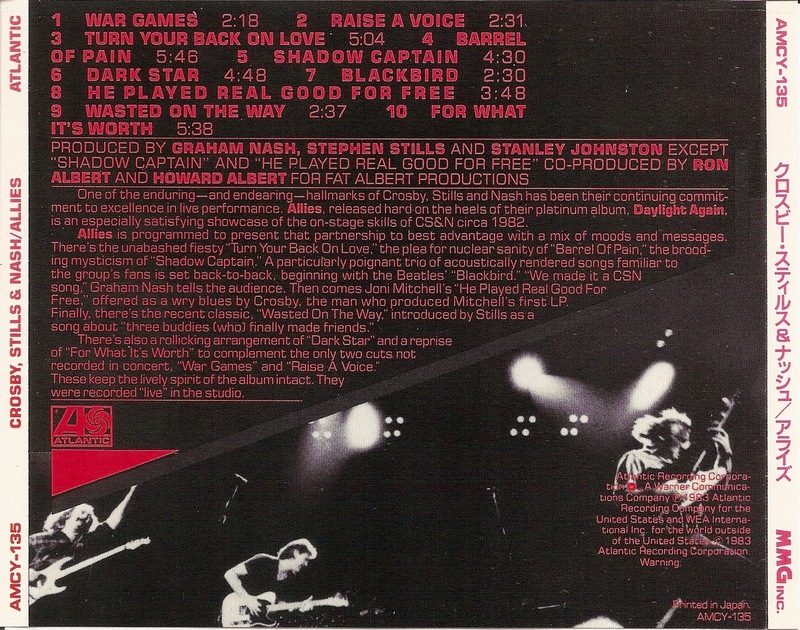 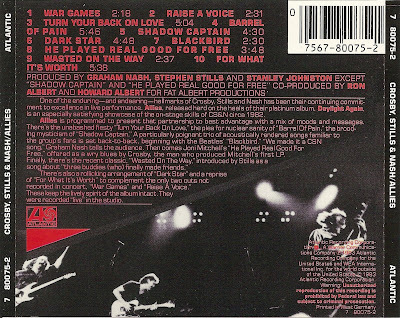 Allies is a 1983 live album by Crosby, Stills & Nash. 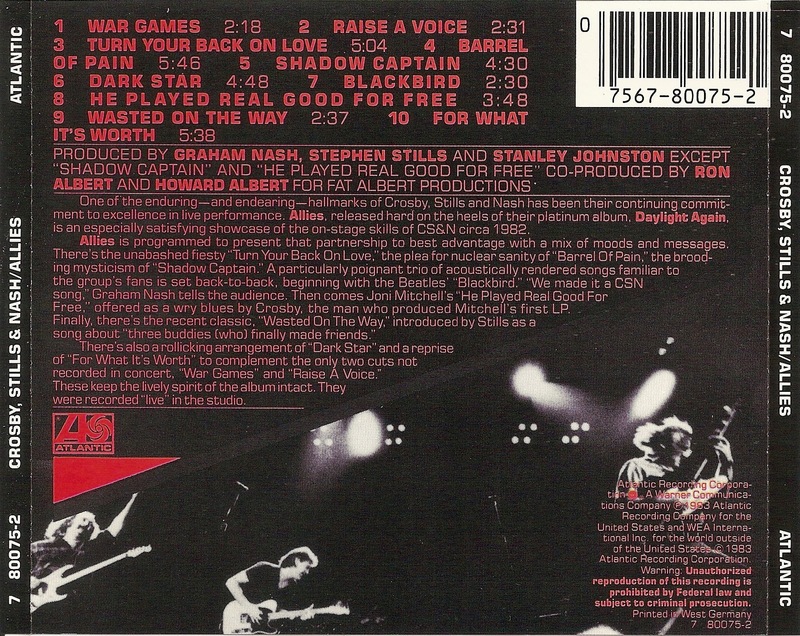 The album was released on the heels of the popular Daylight Again album.